Wolfgang Amadeus Mozart, one of the most well-known and greatest musical geniuses of all time was born on January 27, 1756 at 8:00 PM (20:00) LMT in Salzburg, Austria (47 N 48 / 13 E 03) (source: AstroDatabank). We will now demonstrate how Astrodamus 1.0™ works, and how this software program can predict life events. 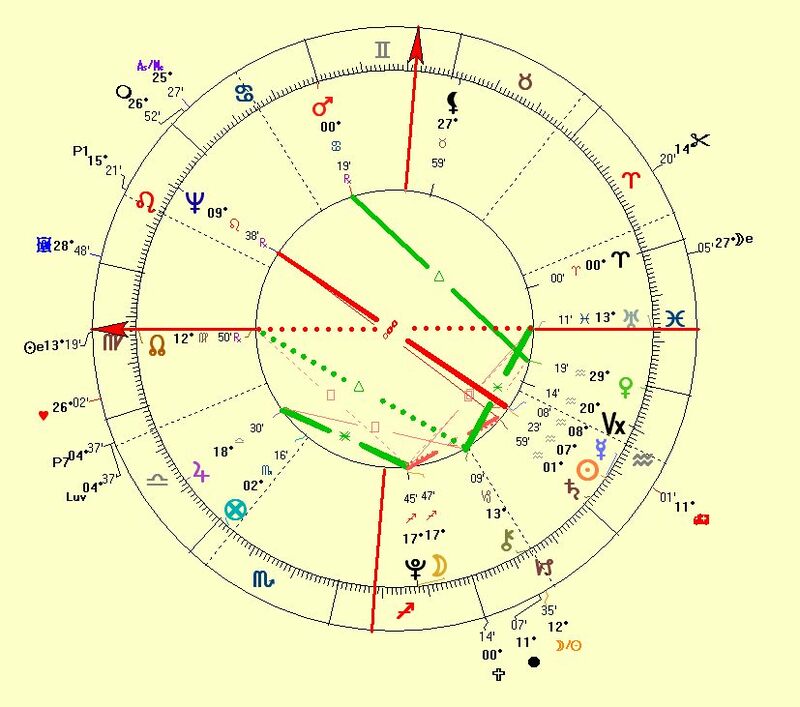 For other demonstrations, we recommend that you check our celebrity horoscopes page as well as ourAstrodamus cases page. Astrodamus 1.0™ rectified the time to 20:01:25 LMT. The time of birth seems to be very correct indeed. When Astrodamus mentions the word 'principal', it means superior people in your life. The word 'surgery' seldom indicates death, except when the word 'death' is mentioned in the analysis as well, which is the case here. early 1778 there is the possibility of a change in Mozart's career due to the death of the organist Anton Kajetan Adlgasser in Salzburg. Mozart's mother died July 3, 1778. In the mean time (during 1777-1778) he fell in love with Aloysia Weber, sister of Constanze Weber, his future wife. It remained a secret love. In the end Aloysia Weber rejected Mozart's love (December 25, 1778). In fact, in 1778 Mozart 'lost' (so to say) 2 women in his life, his mother and his secret love. In 1778 Mozart was traveling to Paris, France and returned to München, Germany on December 24, 1778. When will you marry? When will you get pregnant? The Astrodamus Reports will tell you!